Each of the special populations modules is designed to provide focused content on conditions that may affect members. 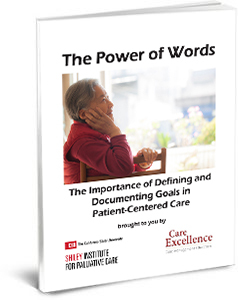 Each defines the condition, explores myths, misconceptions, statistical data, causes, risk factors, detection and diagnosis, and needs of populations, including treatments, symptom management, and accommodation considerations, employment, social support available, barriers to care in the healthcare system, best practices, special/unique resources and programs available to address the member’s unique needs, and more. In this module, the student will explore the various types, causes and characteristics of physical disabilities and needs disabled people have, including health care, safety, living and technology. Disparities that exist due to physical disabilities, health promotion and disease prevention opportunities, disability etiquette, family and caregiver support will also be explored, along with payment systems, community support systems and best practices. Learners will gain definitions of members of this population, and will explore myths and misconceptions. Needs of this population including treatment, therapy, education and accommodation, employment and social support will be explored. People with mental illness have barriers to care in the healthcare system, and their significance and prevalence within healthcare system is covered, along with nuances of the population (do’s and don’ts) and best practices, family and caregiver engagement and support and navigating the system for special/unique resources and programs available to address their unique needs. Care Managers will learn the definition of homelessness per the current definition of the US Department of Housing and Urban Development, and will gain an understanding of homelessness in America and common elements of the experience of people experiencing homelessness. Topics including risk factors for homelessness, how public policy impacts homelessness, needs for care and barriers to care experienced by the homeless, and best practices for interventions and programs for the homeless will be explored as well. Gain a thorough introduction to Substance Use Disorder (SUD), and further your understanding of addiction. Learners will also obtain tools for maximizing communication and engagement, as well as treatment options. Learn to address barriers to treatment and to offer support options that can assist in recovery. In this course, learners will gain an understanding of types of brain injuries and of their symptoms and side effects. Special and complex needs of individuals coping with brain injuries will be explored, to allow for a thorough understanding of the unique skills for supporting those in the brain injury population. Community and online resources specific to TBI/ABI for continued learning will be provided. Care managers will delve into the nuances of transplant donors and recipients, starting with the Transplant Team’s process of selecting patients for listing on an organ transplant waiting list; the roles of the interdisciplinary transplant team as pertains to selection and listing; will learn the methods applied to wait times for deceased donor organs and the accompanying psychosocial factors that are considered for patient listing. Coping problems that act as barriers to transplant and recovery, identification of populations that have a difficulty meeting psychosocial criteria for listing, and resources applicable in assisting these vulnerable populations are included as well. Learners will gain an understanding of the dynamics of domestic violence, and be able to recognize and describe different types of domestic violence, the characteristics of an abuser and victim of abuse, analyze and assess why victims remain in relationships, and the risks associated with ending a violent relationship. Information about the impacts of domestic violence on children, friends and families will be included, as well as resources available to support victims of domestic violence. This course provides an understanding of incarceration’s effect on the individual, prevalent health needs of incarcerated individuals, and social challenges of justice. An overview of reentry, with necessities for individual reentry transitions is also covered. The Special Populations I course consisting of its eight modules is available online as a part of the Advanced Concepts curriculum training. Below are some Fast Facts about this course and its modules. Please call us for more information.